Tool to quickly hide/blur/redact text in screenshot? I’ve captured a screenshot and I want to share it (on Stack Overflow, actually), but I need to blur/hide out a couple words in the screenshot. Is there a tool to quickly do this? 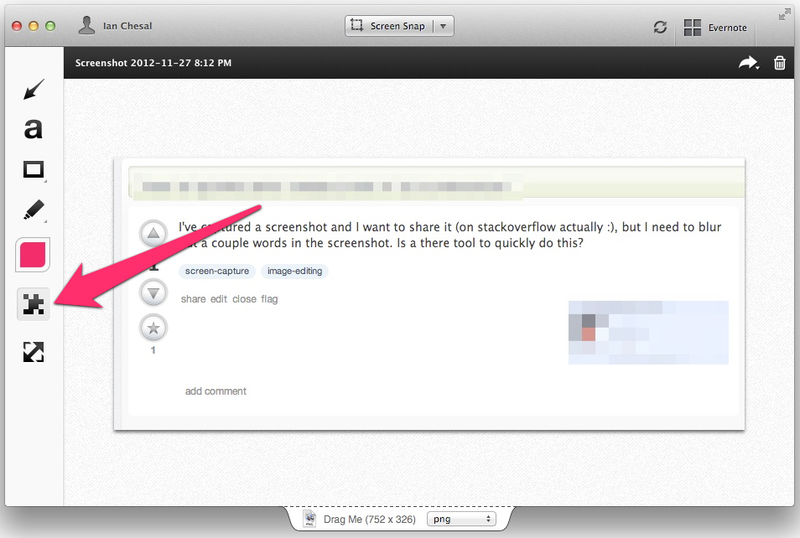 Skitch can do this quickly. See? Just click the blur button in the side bar and draw over your image to obscure things. Use the Annotation tool to draw a filled rectangle over the area you want to hide. You can select the fill color. Use the Selection tool to select the area you want to hide and then cut it. 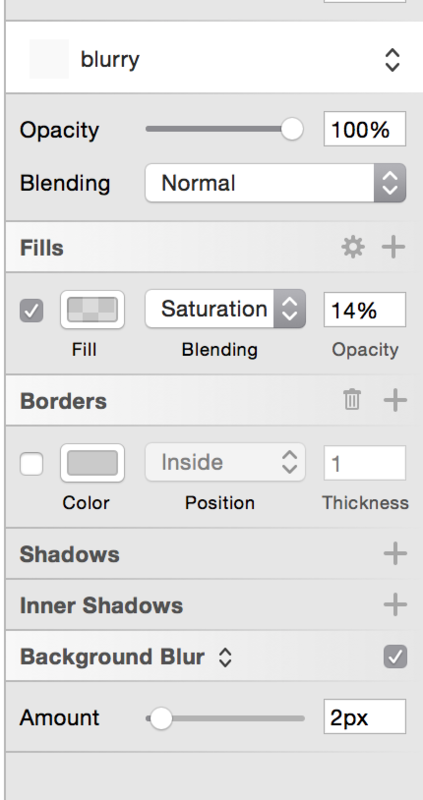 The area will be replaced by a gray area (or whatever color is set as window background in Preferences/General). It has an "intelligent" text blurring tool that changes the amount of blurring based on the font size of the text being blurred. It's an online web app and it's free. Sketch 3. Brilliant app. Set fill to saturation, opacity 14, black background, background blur 2px. Save it as a style. I was looking for a quick solution using the preview tool as well and blocking out or cutting text won't work (since I need to give the notion that text goes there). I ended up just downloading and using GIMP because of it's flexibility as a tool. 1) Simply use the blur tool and drag over the text. 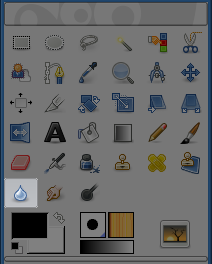 If you want to be cleaner, you can use the rectangle selection tool first and then use blur so you get sharper edges. 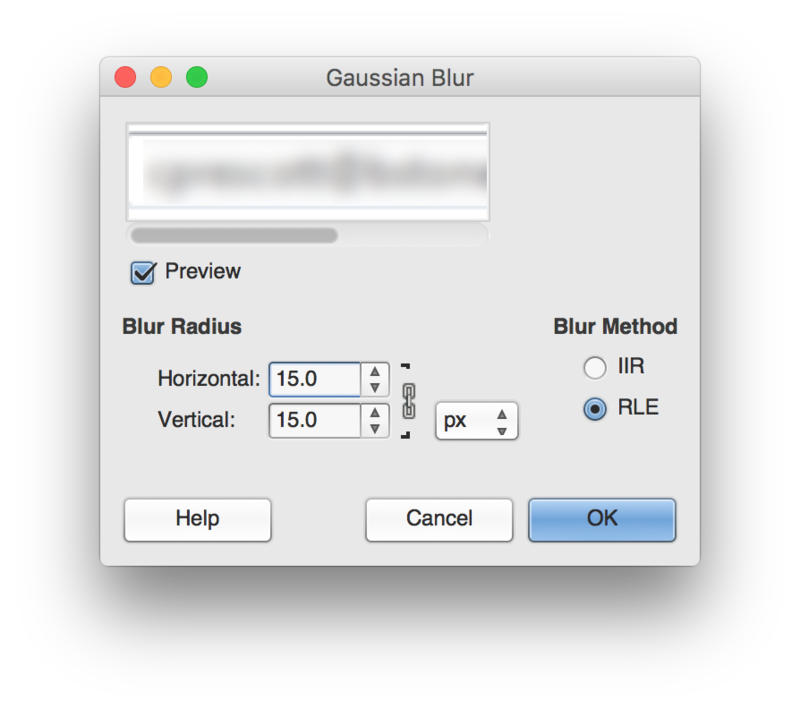 2) There is also an option in the toolbar to blur selection as well (so it's more evenly blurred) - I would recommend a high (15x15) gaussian blur (Filters -> Blur -> Gaussian Blur... from the menu). Select the area you want to blur first and then use the appropriate blur filter. Again, I know it's not as simple and direct as some of the other tools, but GIMP just offers a lot of other features built pretty well. In my case, I downloaded it and used it for blurring of text since I know I'll be using it for other capabilities in the future. Preview fits a lot of great simple annotations, I was surprised it didn't have this built in. I use reducked.com - small webpage-tool for redacting images in a browser. Not the answer you're looking for? 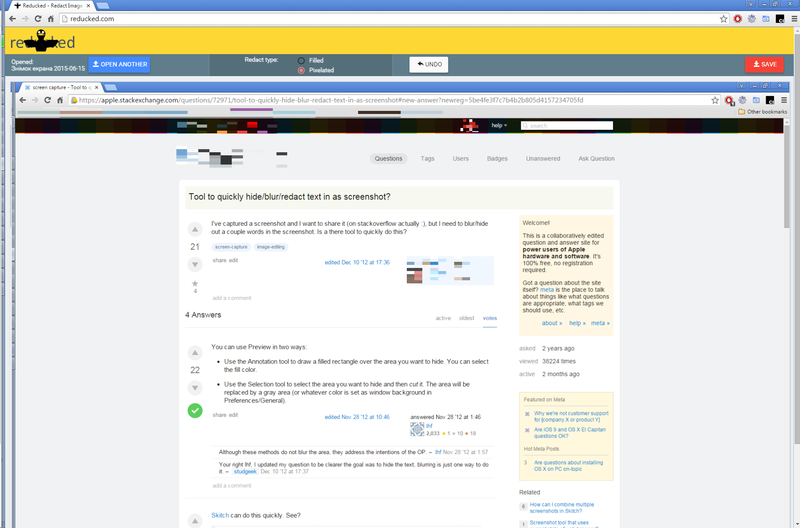 Browse other questions tagged screen-capture image-editing . What's a good iOS app for quickly posting screenshots on the web? Is it possible to take simultaneous screenshots of two windows? OS X: is there any (area selection) screenshot tool that can upload to Imgur? How to quickly screenshot all apps in all screens & folders?